Eternity chrome and crystal light, modern contemporary light for lower ceilings. 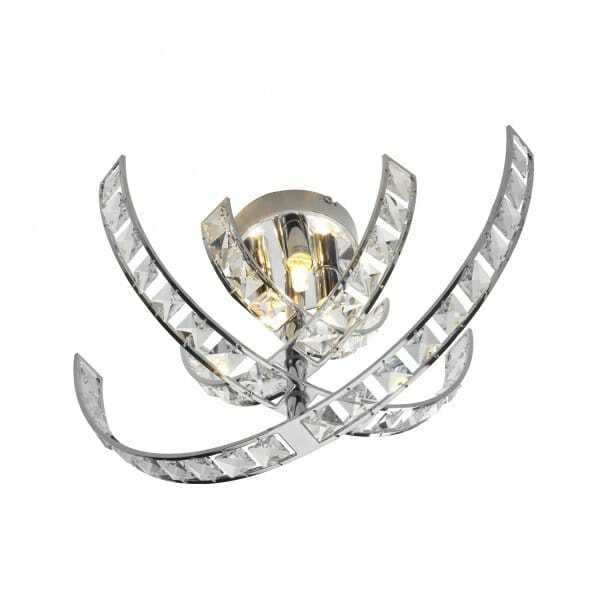 Eternity flush ceiling light in polished chrome with crystal decorations. This light fits close to the ceiling and would make a great feature light for an entrance hallway or other room with a low ceiling height. The 3 light halogen flush is attached to the ceiling on a circular polished chrome rose and the short rod suspension carries the curved polished chrome arms. Each arm is decorated with faceted crystal squares which give this light its real sparkle.